Our Regulatory Compliance Branch monitors and analyzes fish salvage and loss rates at State Water Project (SWP) and Central Valley Project (CVP) Delta export facilities. Fish salvage and loss rates are used to determine the need for changes in operations in response to National Marine Fisheries Service (NMFS) regulatory requirements. Salvage and loss monitoring includes daily monitoring and reporting of estimated loss of salvaged fish, as well as monitoring and reporting of salvaged Coded Wired Tagged (CWT) hatchery fish. This information is widely used by West Coast fisheries agencies to collect information on natural and hatchery-reared stocks of salmon and steelhead. Our state-of-the-art genetic analysis techniques are used to quantify salvage rates of listed runs of California’s Central Valley juvenile Chinook Salmon. We also utilize advanced genetic analysis techniques to identify different populations of Central Valley juvenile Chinook Salmon, and actively participate in development of new analysis methods. Dayflow is a computer program designed to estimate daily average Delta outflow. 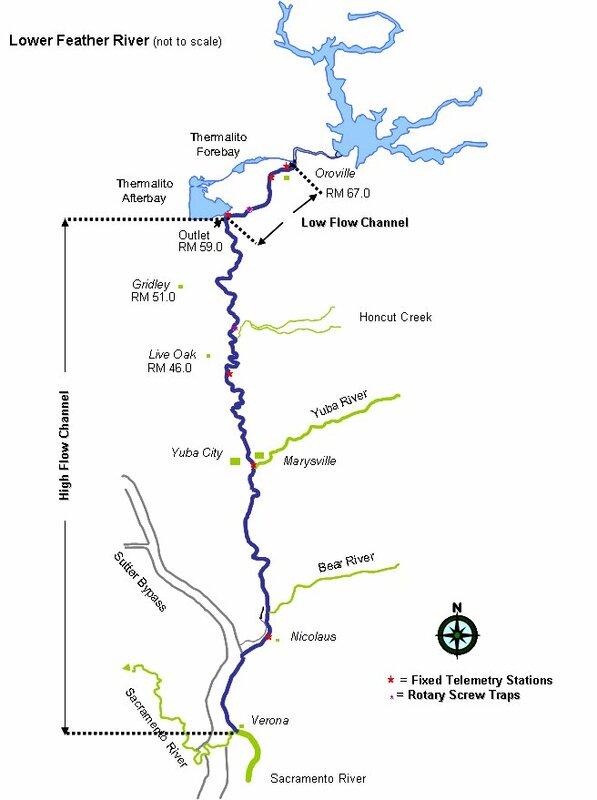 The program uses daily river inflows, water exports, rainfall, and estimates of Delta agriculture depletions to estimate the “net” flow at the confluence of the Sacramento and San Joaquin Rivers, nominally at Chipps Island. It is a key index of the physical, chemical, biological state of the northern reach of the San Francisco Estuary. Click here for more information. In collaboration with the various project entities (i.e. Engineers, other DWR staff, and federal and State agencies) we determine project permitting needs, write and review compliance documents, submit permit applications, and ensure that permit requirements (such as conducting biological surveys, construction monitoring, and project reporting) are met. Our archaeologists provide assistance throughout the Department in planning and carrying out archaeological survey, excavation, and archival research to manage cultural resources in compliance with State and federal cultural resources laws and regulations, such as Section 106 of the National Historic Preservation Act (NHPA). Coordination is used to identify cultural resources that may meet the criteria for listing in the National Register of Historic Places (NRHP) and/or the California Register of Historical Resources (CRHR). Archaeological site information is considered confidential in order to prevent looting and vandalism. Fieldwork is documented through the preparation of site records, photographic records, Geographic Information System (GIS) databases, and project-specific cultural resources reports. We periodically purchase land or obtain easements for purposes associated with water management activities. In order to protect us from potential hazardous material liability under the Comprehensive Environmental Response, Compensation, and Liability Act (CERCLA), a Phase I Environmental Site Assessment (ESA) is conducted prior to real estate transactions. If a Phase I ESA identifies the need for further investigation, soil and/or water sampling may follow. DWR will then use the resulting information from these types of investigations to make informed land transaction decisions. We conduct Feather River fishery studies to estimate adult abundance for both spring-run and fall-run Chinook salmon, and to conduct tagging studies using young fish from Feather River Hatchery. Our program has expanded in recent years and also supports additional fishery studies commissioned for the Oroville Facilities relicensing through the Federal Energy Regulatory Commission. To aid in improving water quality for managed wetlands, several facilities have been constructed within the Suisun Marsh by DWR and the U.S. Bureau of Reclamation. These facilities include the Roaring River Distribution System, Morrow Island Distribution System, and Goodyear Slough Outfall (constructed in 1979 and 1980) which provide water and drainage for over 11,000 acres of managed wetlands. 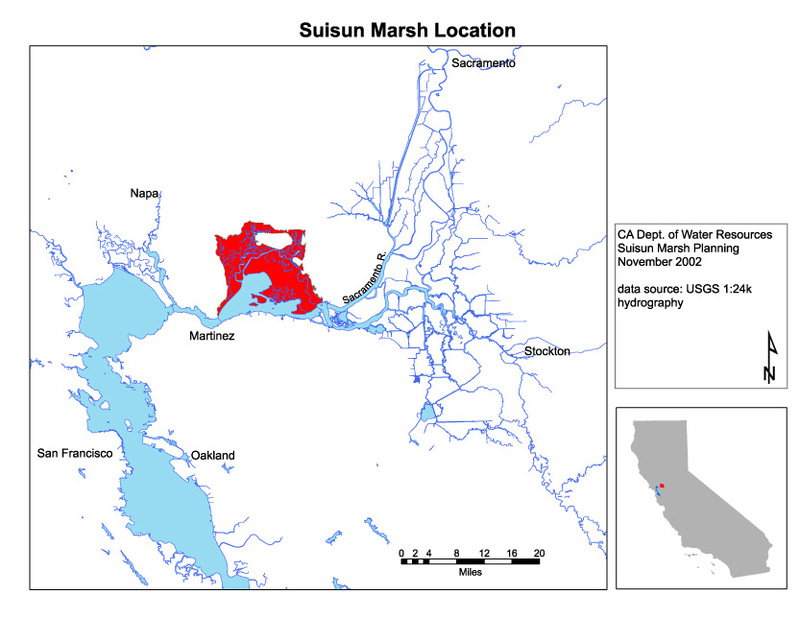 The Suisun Marsh Salinity Control Gates provides lower salinity water across more than 50,000 acres. We also have 16 water quality monitoring stations spread throughout the Marsh. The salinity standards are based on the need to provide high quality foraging habitat for wintering waterfowl using managed wetlands.